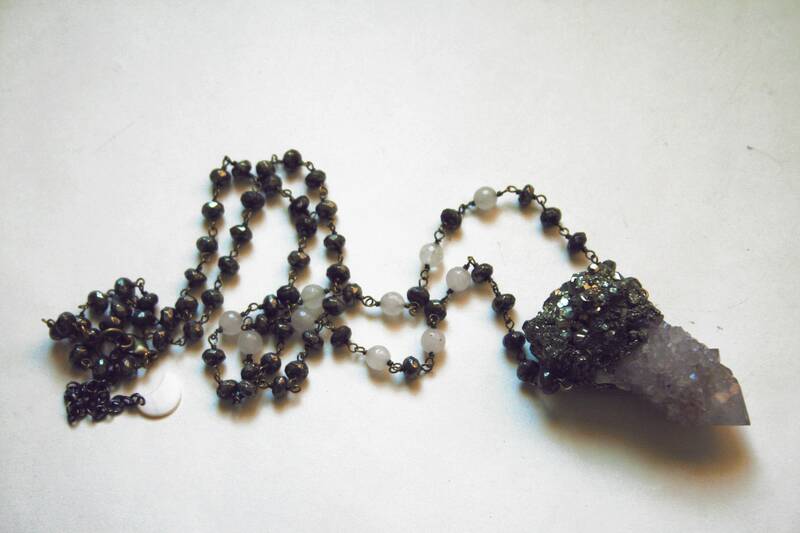 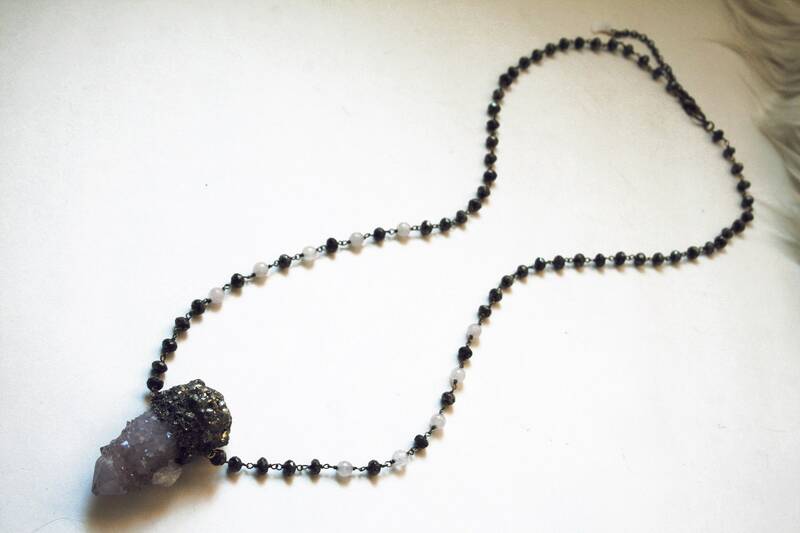 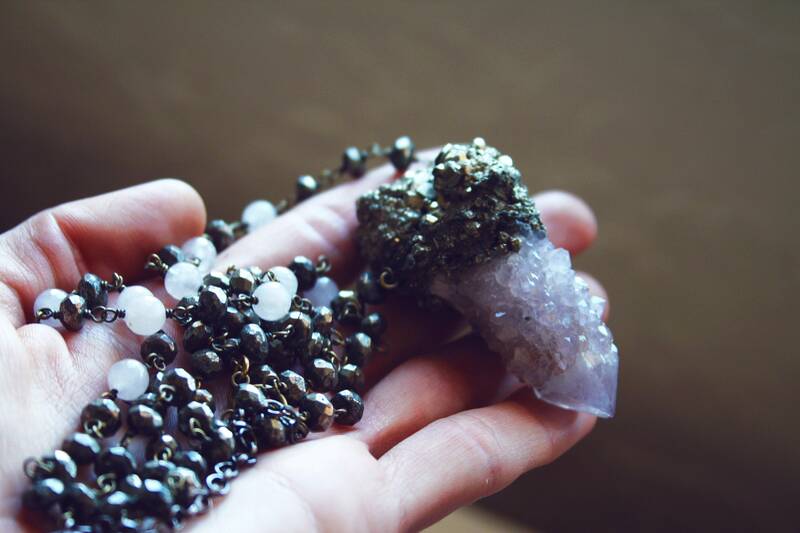 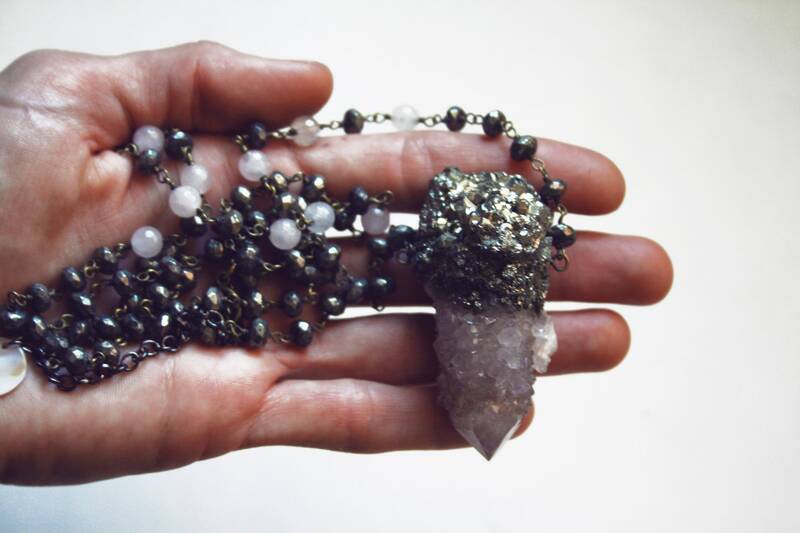 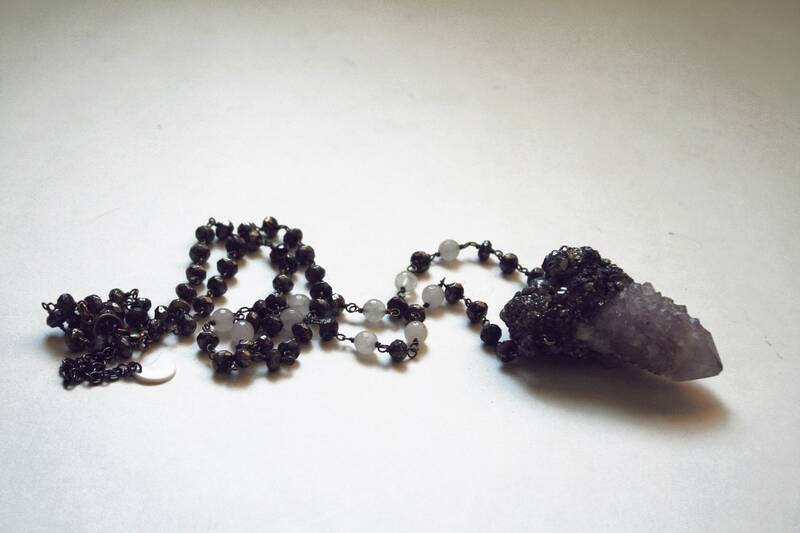 One necklace with an amethyst/ametrine spirit quartz crystal, fused and encrusted with a sparkling pyrite cluster, on a handmade antiqued brass chain beaded with shimmering faceted pyrite beads and faceted rose quartz beads. 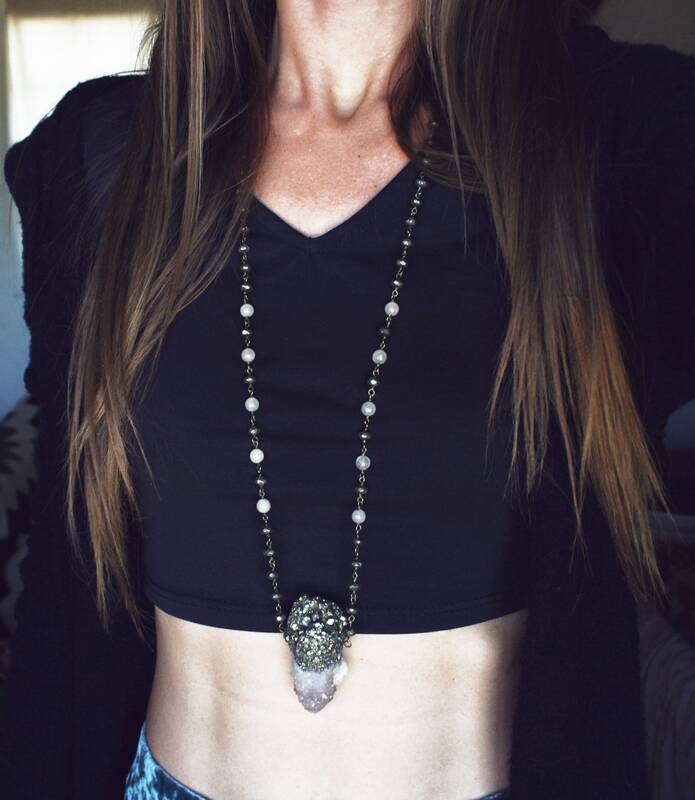 Necklace is adjustable between about 34" - 37" long, with a lobster clasp and a smother of pearl crescent moon charm. 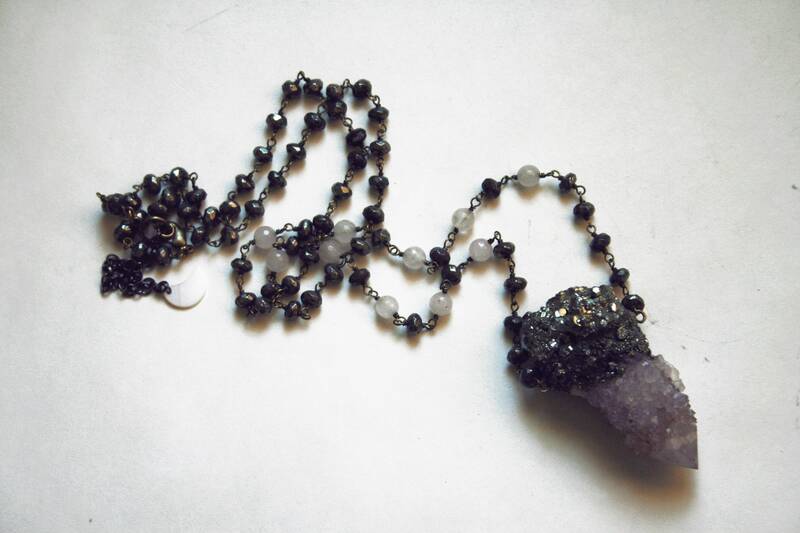 Pendant is about 2.5" tall.